The goal with Home Theater Soundproofing is twofold: first, to isolate the room’s noise from the rest of your home, and second, to produce premium sound quality within the room. For instruction on how to combat sound bleed from your Home Theater, visit the Walls and Ceilings sections of our website. For instruction on How to Soundproof a Home Theater, stay right here. Premium sound quality within your Home Theater is all about controlling your reverb. The key to the sound values you are seeking, the key to making your Home Theater sound great, is to capture and convert the echoes from the room. To maximize the sound values inside your Home Theater, the goal is to control the unwanted levels of reverberation from distorting your sound signals and blurring the audio inside the room. Sound panels can be placed on your perimeter walls or ceiling surfaces as you wish. They are designed to capture and convert the unwanted sound wave reflections, which in turn will lower the blurred audio signals, and restore premium sound quality to your Home Theater. The key to the values you are seeking lie in getting the right amount of acoustic panel introduced into your Home Theater based on room size. Use our Room Analysis tool at the top or bottom of this page to submit your room’s dimensions, and we’ll get back to you with product quantities and a quote. 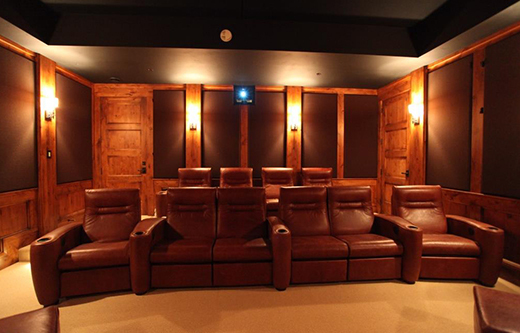 Fabric Panels are by far the most popular treatment for your Home Theater setting. These panels are acoustic boards that measure 2” thick and can be cut to match whatever cavity size or space you need to recess nicely into your perimeter wall or ceiling configuration. These sound panels are made available in 60 color options, they are Class A fire rated, durable, decorative, portable and easy to self-install. Once the panels are placed into the room, your Home Theater will deliver back premium sound quality. A popular upgrade to the Fabric Panel, which wraps in 60 color options of cloth, is to have us wrap the panels instead of in graphics, imagery, photography, logos, and any general theme you like to your Home Theater setting. These are called PicturePanels. They are designed to produce a stunning visual presentation to your space. The Fabric Panel has been the most popular sound panel we have sold stretching back over the last 25 years. 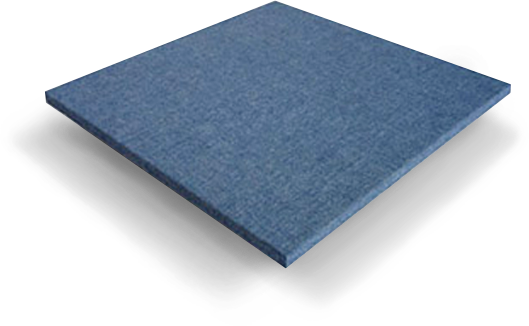 Made of 2” thick compressed fiberglass boards, the panels are durable, decorative, and easy to surface mount with the clip systems we will ship with your order. These sound panels have an exceptional ability to capture the low base frequency tones that are the typical acoustic problem for a Home Theater with poor quality sound. The most popular product on our website. We need the cubic footage of your space. Measure your room’s length, width, and height. Use the button at the top or bottom of this page to submit your room’s dimensions. We will define the framework for your treatment and submit back your quote for approval. Your sound panels will drop ship to your doorstep. Our treatments are cost effective and easy to install yourself. We encourage our readers to review the variety of sound panel projects we showcase in our Case Studies Library. To protect the privacy of our residential home theater clients, we do not post their images, mostly you’ll find commercial projects here, but the same Fabric Panel. The visuals and testimonials are designed to help ease your worry. 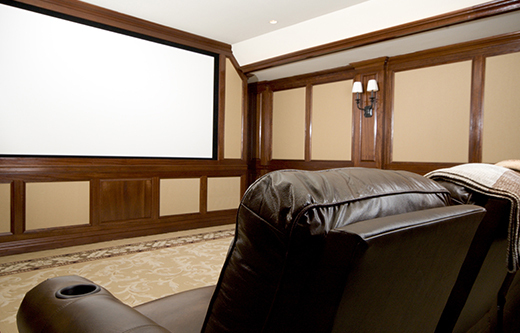 Our sound panels will make your Home Theater sound great! There’s not a home owner out there who isn’t concerned about he costs associated with the sound panel treatment for their Home Theater. If you are serious about your upcoming soundproofing project and want to control the costs associated with it, we invite you to sign up for our free course called StartSmart. This is a simple series of emails that contain some good tips and advice on saving money on your upcoming soundproofing project. Sign up today! Use this innovative tool of NetWell’s to submit the dimensions of your Home Theater. In turn, we will respond back with the defined framework for your sound panel project, including recommended coverage amounts and price. 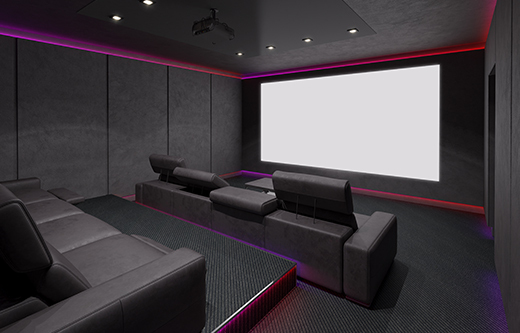 To properly treat your Home Theater with acoustic panels, feed us your room size and we will submit back the coverage amounts for your upcoming soundproofing project. The goal is to not under treat the space and leave excessive reverb in the room.